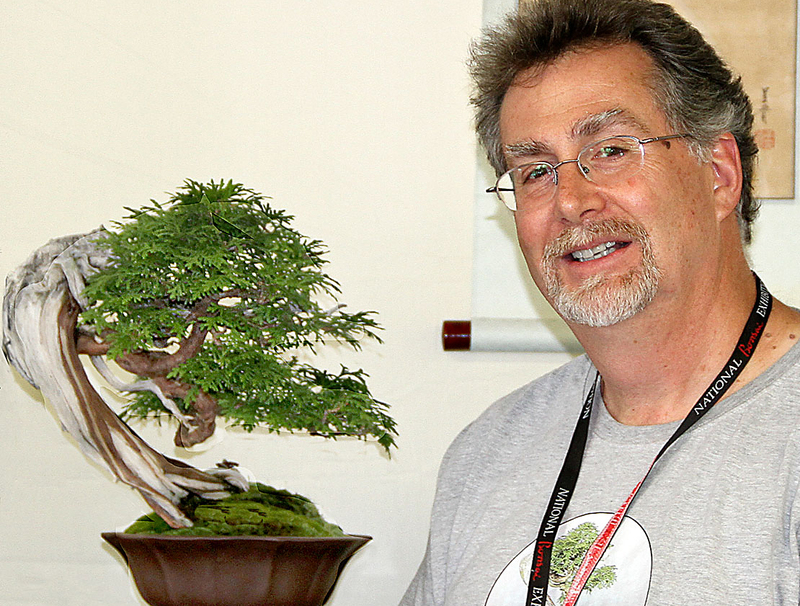 If you want your trees to win awards like Mark Arpag’s trees do, start at the Wild Bonsai Weekend, May 24-25 at PFM Bonsai in West Charlton, when Mark will share techniques to help you develop blue ribbon Eastern White Cedars. Bring your own Thuja or choose a workshop tree from beautiful collected material in all sizes offered by Black Dodge Bonsai and PFM Bonsai. Workshops are limited to 8 people each day and the fee is $85 per person, tree not included. Lunch is provided, the nursery will be open all weekend for sales and wandering, and Pauline Muth and David will be on hand to advise on collected non-Thuja material as well. To register for either day’s workshop, email pauline@pfmbonsai.com or send a check for $85 to: PFM Bonsai, 7 Western Avenue, West Charlton NY 12010.